P&O Cruises has finished the year on a high with the news that the cruise line has been named Best Family Cruise Line in Cruise Passenger’s annual Readers’ Choice Awards. The nod from Australia’s only dedicated consumer cruise magazine follows another ‘Best Family Cruise Line’ award earlier in the year from the readers of leading family publication – Out & About with Kids. 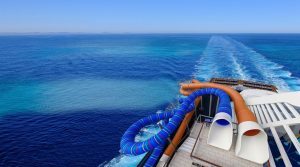 With shiploads of family friendly innovations on the horizon and family groups making up almost one third of guests, P&O Cruises President Sture Myrmell said the cruise line was thrilled with the award. 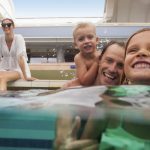 “As the nation’s homegrown cruise line, we’ve been helping Australian families holiday at sea for more than 80 years so it’s really wonderful to hear that we’ve been named as the best family cruise line by Cruise Passenger readers, topping off a big year of family accolades,” Mr Myrmell said. P&O’s five-ship fleet caters to families of all types and sizes with triple, quad and interconnecting cabins; the P&O Edge adventure park at sea offering adrenaline-inducing activities such as rock climbing and zip-lining; kids’ clubs catering to children from the age of two to 17; late-night babysitting and exciting onboard activities from movie-making to Lego.